With winter quickly approaching, you might think you have to put your travel plans off until late spring or summer, but traveling to Europe in the “off season” is not only easier on the pocket book, it can often be a lot more rewarding. Here is a look at five of the best reasons to plan a European holiday between November and March. Travel bargains are probably the number one factor for traveling during the off season. Airfares often drop by a third to half the price of peak airfares (typically May through mid-October). Just be sure to avoid traveling just before Christmas through New Year’s Day, when fares often go up even higher than peak season. While you’ll pay top dollar to fly around the Thanksgiving holiday within America, this can be one of the best times to fly to Europe for a bargain price. In addition to saving on airline tickets, accommodations are often cheaper during the off season in many destinations across Europe as well. While climates vary greatly depending on your destination, you can avoid the extreme high heat of summer that you’ll find in countries like Italy, Spain or Greece by going in the off season and many other European nations often have ideal temperatures in autumn or spring. Of course, if you picture yourself sitting by a roaring fire with a cup of tea or cocoa instead of spending most of your time outdoors, you’ll open up nearly an endless number of possibilities for an enjoyable and relaxing winter vacation. By bringing the right clothing and dressing in layers, in most places weather won’t put a big damper on your plans. Another great benefit to off season travel is that you won’t have hordes of crowds to contend with at many of the most popular European sights and attractions. It’s important to plan ahead a little to avoid disappointment, however; some sights and activities may close down for part of the year. Keep in mind that with less people, public transportation including trains, buses and ferries may not provide as frequent trips (or some routes at all) as they would during peak season. Fewer tourists also mean that the locals often have more time to spend with visitors. Getting to know the local culture is far more rewarding than being stuck on a tour where you’ll only interact with people from your own country. If you stay at a Bed and Breakfast your host will be more relaxed and much more likely to let you in on the locals’ best secrets as well as important historical moments in the town’s history and perhaps some more colorful stories too. 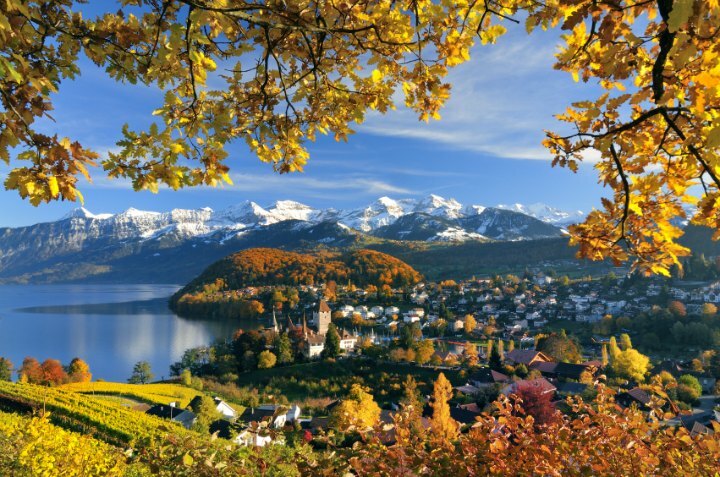 Visiting many European regions in the fall can bring the opportunity to view brilliant autumn foliage, while in the spring, mountains and hillsides may be found filled with beautiful wildflowers. Visions of a winter wonderland in Austria or Switzerland exude romance, while in Ireland or Scotland the stark beauty of winter is often nothing less than stunning. Castles shrouded in mist with the cries of crows be heard across the magnificent emerald hills make for a dream-like experience.